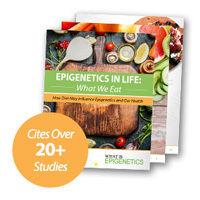 Vitamins A and C Could Erase Epigenetic Marks on DNA | What is Epigenetics? Vitamins may not only benefit your health, but also remove epigenetic memory or marks on your DNA. A new study conducted by an international group of researchers found that vitamins A and C work in different ways to erase methyl tags present on genes. These findings could help to progress new developments in regenerative medicine and bring us closer to understanding how we may be able to reprogram cells from one type to another. Because all cells in the body contain an identical genetic code, epigenetic marks control whether certain areas of the genome can be accessed or not and which genes may be expressed. Every cell type has a unique epigenetic pattern of gene expression which dictates whether they become brain cells, lung cells, heart cells, and so on. For the purpose of regenerative medicine, researchers aim to generate cells that can be instructed to form into a desired specialized cell type, like those found in the early embryo, known as embryonic stem cells. For instance, if an individual’s heart was damaged, researchers may try to kick-start tissue regeneration or engineer replacement tissues for the heart. Interestingly, zebrafish and salamanders can regenerate new limbs and several different tissue types – including heart and brain – throughout their life. Harnessing this ability for humans would be the “holy grail” of regenerative medicine. However, it has been difficult for researchers to establish a ground state in human cells. Regenerative medicine aims to force cells to “forget” or wipe away the epigenetic marks specific to its identity, to establish what researchers call a naïve pluripotent state. Naïve embryonic stem cells are characterized by low levels of methylation across the entire genome, a feature thought to be intrinsic to their function. A team of researchers from Babraham Institute and University of Cambridge in the UK, University of Otago in New Zealand, and University of Stuttgart in Germany worked collaboratively to find that retinol/retinoic acid (vitamin A) and ascorbate (vitamin C) synergistically diminish DNA methylation levels. Removing methyl tags is crucial for a cell to achieve pluripotency, thereby establishing a clean slate for the cell to be reprogrammed. DNA methylation is one of the most well-known epigenetic marks, defined as the addition of a methyl group to DNA in order to form 5-methylcytosine (5-mC). This process is catalyzed by an enzyme known as DNA methyltransferase (DNMT). Removing methyl marks, known as DNA demethylation, is carried out by a family of enzymes called TET enzymes. Vitamin C was found to bolster TET activity, leading to DNA demethylation. Vitamin A enhanced DNA demethylation and increased 5-hydroxymethylctostine (5-hmC) by activating TET2 and TET3 expression. These results provide insight into the way TET proteins erase epigenetic tags during reprogramming to naïve pluripotency and raise interesting questions regarding the epigenetic effect of widespread vitamins. Source: Hore, von Meyenn, Ravichandran et al. (2016) Retinol and ascorbate drive erasure of epigenetic memory and enhance reprogramming to naïve pluripotency by complementary mechanisms. PNAS. Reference: Vitamins A and C help erase cell memory. Babraham Institute. 11 Oct 2016. Web.